Priority Waste was formed by a group of individuals that have spent a lifetime in the Waste and Recycling Industry. Our staff and management have over 75 years combined experience servicing customers throughout Michigan and much of North America. Our focus is 100% on you, the customer! Read More. 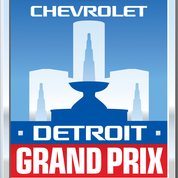 Priority Waste is the official sponsor of the Detroit Grand Prix.